This is a complicated accessory to talk about. Is not something we see all the time and some people just don’t use it! Anyway there was a time I really enjoyed using these pins and lately it’s getting back to me again. 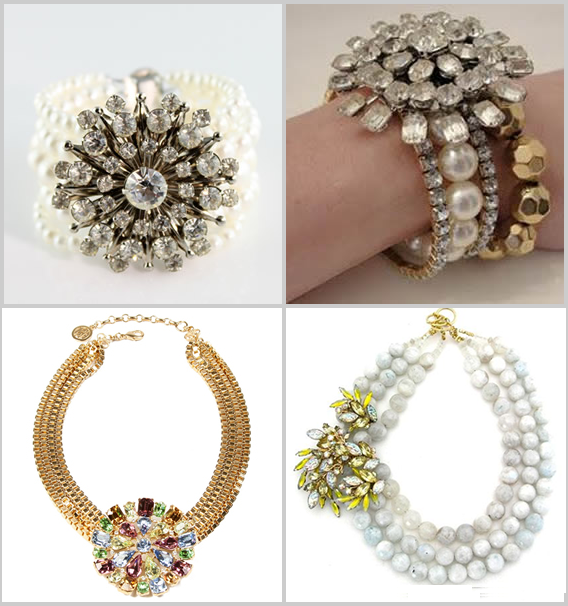 We don’t necessary need to wear it on clothes; actually the way I prefer is using brooches in bracelet sets or as a necklace with a simple black string. 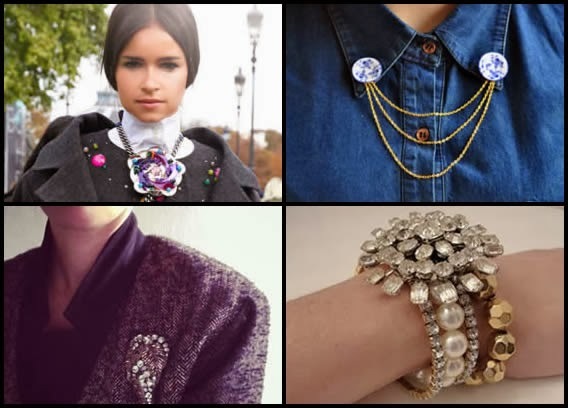 Other important thing is choose the right brooch and be careful matching it with what you are wearing. Here are some ideas and of course as always my shopping picks! Use it in your collar shirt, it looks awesome! Put it on a garment neck line! Use as a garment acessorize! Brooches look great in the hair! Pin it in a bracelet set or a necklace ! They are so beautiful and elegant need to get one for my coat. Have a great weekend doll. Adoro, e a forma como mais uso é no colarinho das camisas! Nunca me tinha lembrado da hipótese de usar para prender sets de pulseiras! 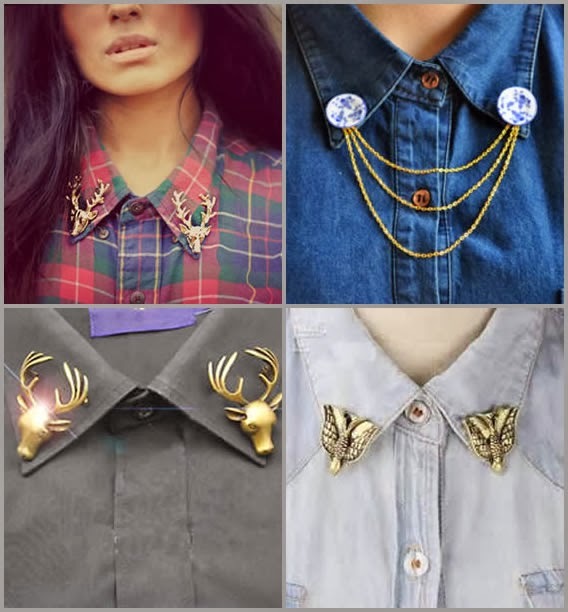 The deer heads on the flannel -- brilliant! Nice ideas! I like in the shirt. I love all these inspiration pics, thanks for this post!! <3 it!! All the collections are so gorgeous and fantastic! I'm sorry I'm so exciting to have seen them so that I cannot think of more words to describe them. Thanks for sharing very much! They look amazing! I love the bracelet! Would you like to follow each other on GFC and bloglovin to stay in touch? Let me know, thanks! I so love the style. Great post!